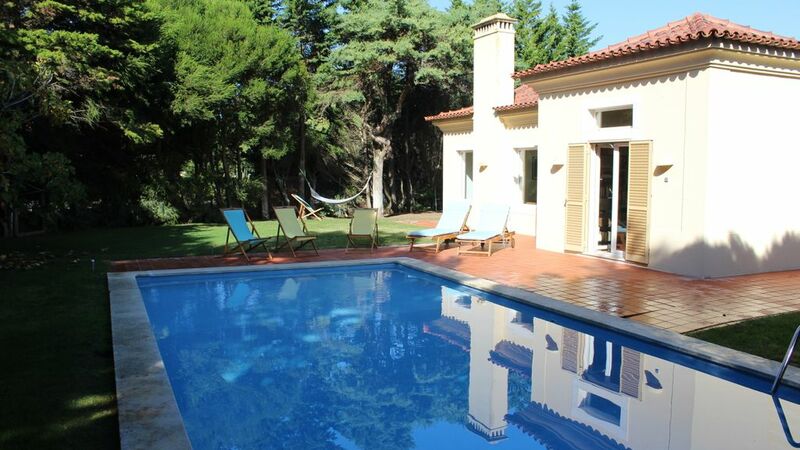 The Sixteen Marinha Villa is a lovely 4 bedroom villa, with a outdoor swimming pool and a charming garden. It is located at Quinta da Marinha in a private country club condominium at 5 minute from the center of Cascais Village and Guincho beach. The house is ideal for groups of 6 and includes 3 bedrooms with double beds, 3 bathrooms and 1 social bathroom, a living room and a dinnig room, an office and a play room.